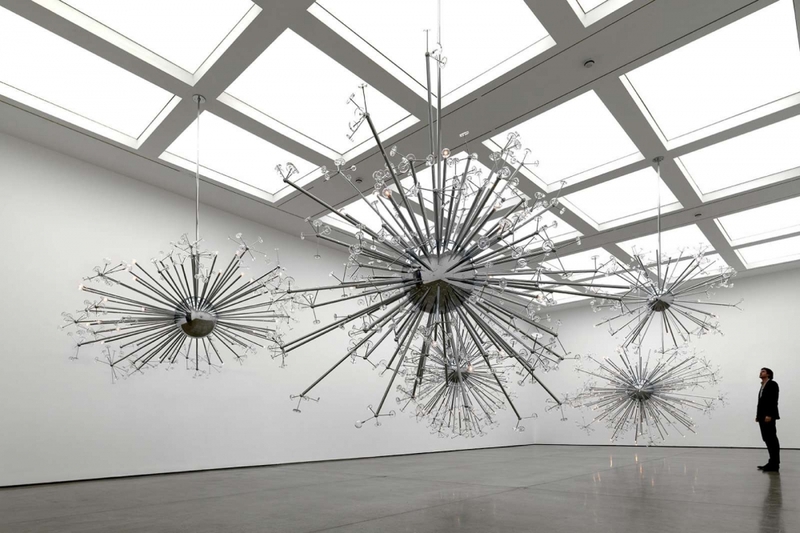 Josiah McElheny will deliver the prestigious 2018 Campbell Lecture Series. Invited by Rice's School of Humanities, McElheny will speak about Imaginary Modernism: Three Lectures on Alternative Paths in the History of 20th Century Art, Architecture, and Music. McElheny's lectures will focus on six essential figures from the histories of art, architecture, and music across the 20th and 21st centuries. He proposes that there are a set of paths toward undiscovered alternate futures to be found in the work of specific artists, architects, writers, musicians, and composers. Each night will include visual or auditory components. The final evening, March 22nd, will include special guest Joe McPhee, the inimitable free-jazz musician, who will both perform and conduct the audience in a participatory performance following the lecture. The series opens with an introduction to McElheny's proposal for an Imaginary Modernism, a modernism that has yet to happen, followed by Literary Architecture: The mythic, futuristic, comedic poetic architectures of Paul Scheerbart and Bruno Taut. This lecture describes the collaborations between poet-theorist Paul Scheerbart (German, 1863-1915) and activist-architect Bruno Taut (German, 1880-1938) and how their ideas speak to the present. The second evening will continue with Invisible Painting: The work of Hilma af Klint and Blinky Palermo depicting the world beyond the visible and the space we inhabit. McElheny will discuss the work and thought of these two disparate and reticent painters, Hilma af Klint (Swedish, 1862-1944) and Blinky Palermo (German, 1943-1977), and their attempts to make visible a world beyond and the nature of the imperfect spaces we inhabit. The lecture series concludes with Cosmic Listening: The cosmo-political thinking of Sun Ra and Pauline Oliveros and concludes with a special guest performance by visionary musician and poet Joe McPhee. McElheny pays homage the political, exuberant, unbounded sound-making of Sun Ra (American, 1914-1993) and the feminist, radical, and communitarian propositions by composer, electronic musician, and audience conductor Pauline Oliveros (American, 1932-2016).